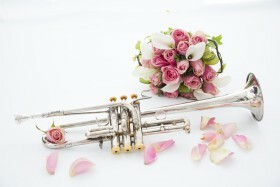 Are brass bands guilty of wanting something for nothing? I’m not sure whether I’m going to regret “sticking my head above the parapet” here or not, but here goes. Once again, the British brass band movement is mobilised into social media action, with the announcement of the 2018 Regional test-pieces. For months, there has been speculation, rumours and whispers regarding the choices of the works that all bands will have to tackle at their respective Area Contests, for the right to represent their Region in the National Finals in Cheltenham and the Royal Albert Hall next year. The waiting is finally over and the decisions of the “wise men” on the Music Panel representing Kapitol Promotions have been announced. 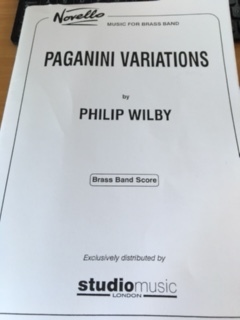 There will now follow some fairly intense moaning, along the lines of “that piece is rubbish”, “that’s way too hard”, “this piece doesn’t have a trombone solo” etc. If we listened to some of the so-called “experts” on Facebook, we’d be having the Derek Bourgeois “Concerto Grosso” for 2nd Section and Philip Wilby’s “Paganini Variations” in the 3rd! You can’t please everyone that’s for sure, but what irks me more than anything – now it’s time for my whinge! – are the complaints about the cost of purchasing the chosen pieces of music. In a brass band, there are usually 28 players if all positions are covered and often more. Given that some of the test-pieces chosen are new works and that all bands will need to purchase their respective piece, we are looking at an average cost of say £75.00 – maybe more, maybe less. This works out at less than £3.00 per player (or less than a pint of beer or glass of wine, depending on where you drink), for a piece of music that will probably go out on the stands either this month or at the latest next month, and potentially get used, on and off, week in week out for the next 4-5 months. Many will respond, and rightly so, that there are numerous printing mistakes found in a lot of these pieces, however this can’t be applied to all new publications and the banding community are quick to forget about the indiscriminate amount of photocopying that goes on during the rest of the year, robbing the publishers and composers/arrangers of any income they are rightly entitled to receive! Whilst I freely admit that brass bands are genuinely struggling, both with membership and financial issues, the “something for nothing” culture is killing the movement. Players will moan about venues, entry fees, admission prices, adjudicators and anything else that you can think of, but compared to other hobbies and pastimes, we invest very little, other than time and effort. 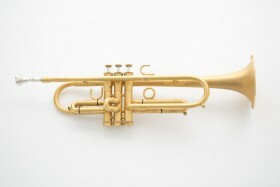 Most players enjoy the benefits of a free instrument (worth usually in excess of £2,000), a uniform, tuition, rehearsal facilities and much, much more. Compare this to something like golf – would you have a free set of clubs, a round of golf and coaching all for nothing? Unlikely and their membership/subscription rates and green fees are eye-watering in comparison! Granted many band players pay monthly contributions and do fund-raising activities throughout the year, but that has always been the case and that will be a necessary part of their organisation’s survival, but we (as a movement) are on a very slippery slope if we think that £3.00-4.00 per person is an excessive amount to invest in our primary hobby. To clarify and give the blog some perspective, I have been involved in brass banding since the age of 7 and have done my share at all levels, paying weekly contributions, missing out on paid work to go to rehearsals and contests, done my hours tidying up the bandroom, cleaning toilets and sorting out the library as well as playing Christmas Carols on a freezing cold December night. No, I don’t want a medal or a pat on the back, but just that you realise I’ve been there and done it and not preaching from an ivory tower, about something I have no experience of. Do you agree or am I missing the point? Send me your thoughts in the comments section below. The National Championship Trophy, which will be the spoils for the victor at the Royal Albert Hall in October.